Annotation on recto: "Aero. Signal 1930". 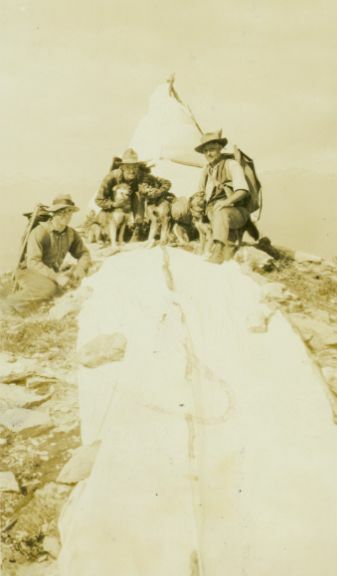 Photo depicts three men and three pack dogs seated at the top of a signal marker.